Objets fantaisies pour les amoureux de la flûte. Herr Christ, der einge Gottessohn (Lord Christ, the only Son of God), BWV 96, is a church cantata by Johann Sebastian Bach. He composed the chorale cantata in Leipzig for the 18th Sunday after Trinity and first performed it on 8 October 1724. It is based on the hymn "Herr Christ, der einig Gotts Sohn" by Elisabeth Cruciger (1524). Bach wrote the cantata in 1724 for the 18th Sunday after Trinity as part of his second annual cycle of mostly chorale cantatas. The prescribed readings for the Sunday were from the First Epistle to the Corinthians, Paul's thanks for grace of God in Ephesus (1 Corinthians 1:4–8), and from the Gospel of Matthew, the Great Commandment (Matthew 22:34–46). The cantata text of an unknown author is based exclusively on the chorale "Herr Christ, der einig Gotts Sohn" in five stanzas of Elisabeth Cruciger (1524). The first and last stanza in their original wording are movements 1 and 6 of the cantata, stanzas 2 and 3 were paraphrased to movements 2 and 3 of the cantata, and stanza 4 was reworded for movements 4 and 5. The chorale was originally associated with Epiphany, but also with the 18th Sunday after Trinity. The Gospel asks how Jesus, of David's descent as said in 2 Samuel 7, can also be David's Lord, as claimed in Psalms 110:1. The chorale tries to answer this question, comparing Jesus to the Morning star, an image also used in the hymn "Wie schön leuchtet der Morgenstern", the base for Bach's cantata Wie schön leuchtet der Morgenstern, BWV 1. Bach performed the cantata at least three times, first on 8 October 1724, a second time probably on 24 October 1734, and a third time probably on 1 October 1740. Musicologists have suggested different dates for the later performances. 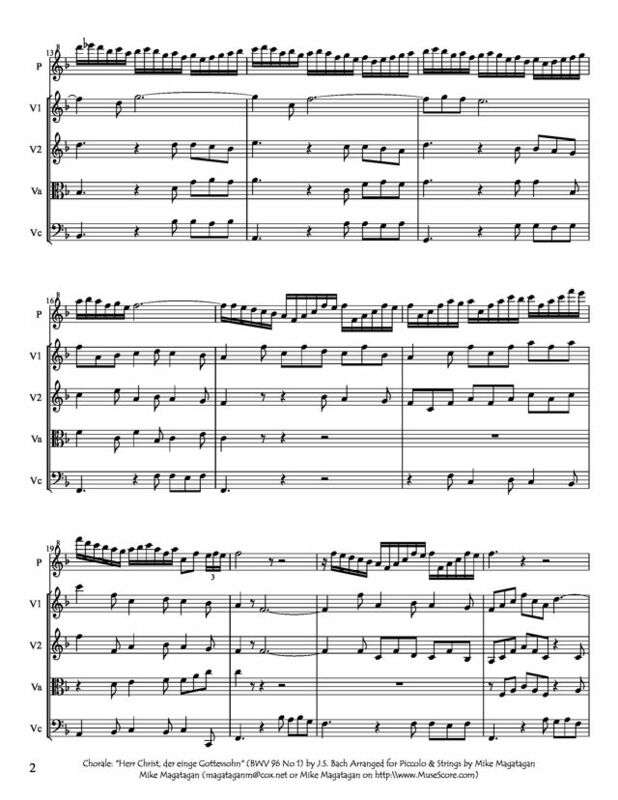 In the opening chorus, a chorale fantasia, Bach has the alto sing the cantus firmus and a horn play along (in later performance replaced by trombone). An unusual flauto piccolo or sopranino recorder is used to illustrate the sparkling of the morning star. In a later performance (probably 1734) it was replaced by a violino piccolo. The choral setting is polyphonic in the three other voices and embedded in instrumental music base on similar motifs. 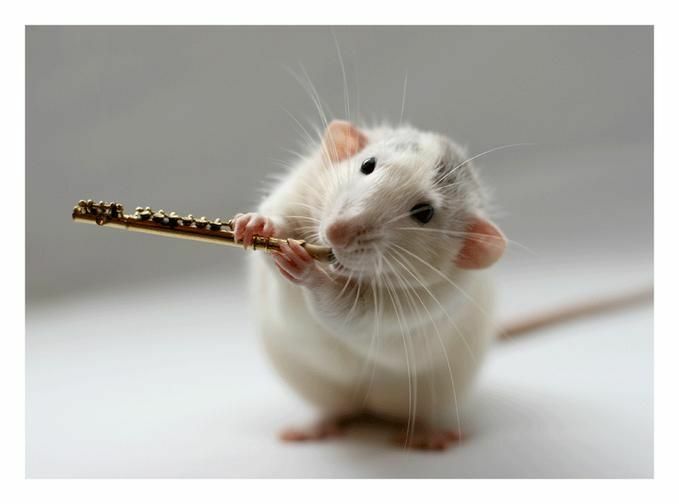 The tenor aria is accompanied by the transverse flute, probably played by the flauto piccolo player of the first movement. 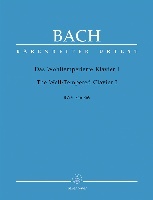 As for Was frag ich nach der Welt, BWV 94, written some weeks before, Bach seems to have had an excellent flute player. The bass aria illustrates the words "Bald zur Rechten, bald zur Linken lenkte sich mein verirrter Schritt" (Soon to the right, soon to the left my erring steps lean) in jagged motifs and a frequent switch between winds and strings. In the middle section steady steps picture "Gehe doch, mein Heiland, mit" (Yet go with me, my Savior). The final part combines both elements. 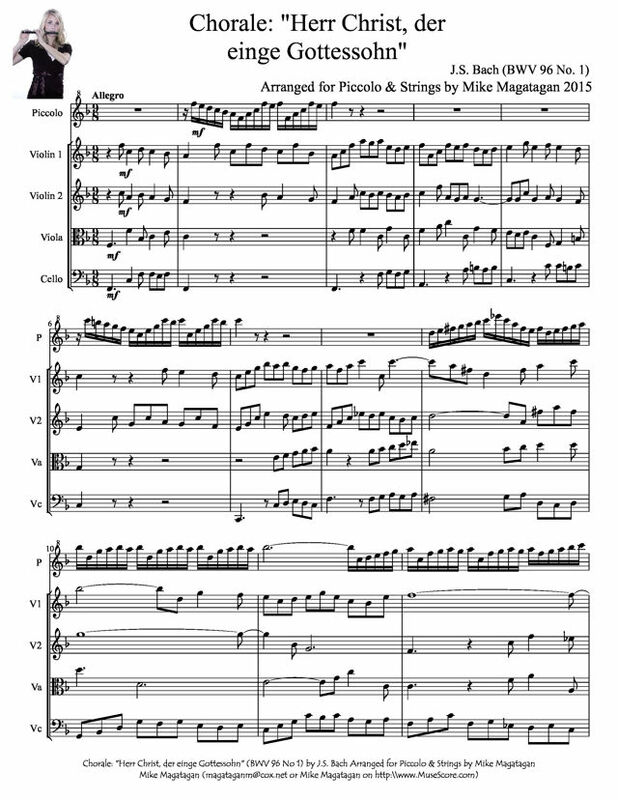 The closing chorale is a four-part setting for the choir, horn, oboes and strings. 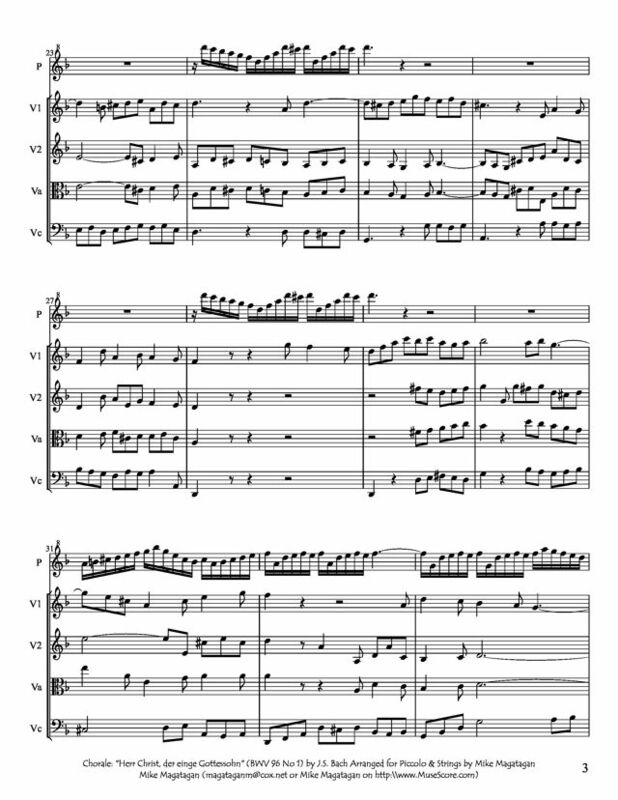 Although originally scored for soprano, alto, tenor and bass soloists, a four-part choir, flauto traverso, flauto piccolo or (later) violino piccolo, two oboes, horn or (later) trombone, two violins, viola, and basso continuo, I created this arrangement for Piccolo and Strings (2 Violins, Viola & Cello).